Incorporating this season's most popular trends into one fashion-forward design, MAYER is the summer slide that you need this year! 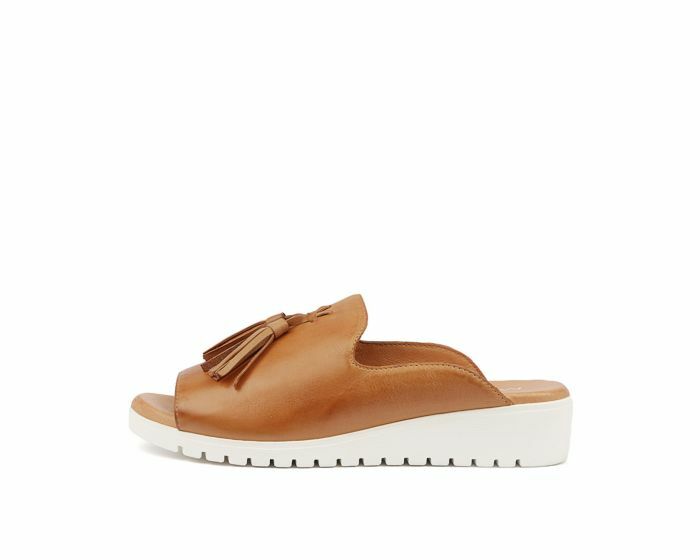 Available in a number of gorgeous shades, the shoe is composed of soft leather that is accented by playful, twin tassel details. The raised wedge sole gives this sandal street-style appeal, while also making it a comfortable choice for those long days in the sun.